We listen to what our customers want and continuously deliver, surpassing the highest expectations! You have asked for a follow on to our very popular King of Bass CD by Bass Mekanik. 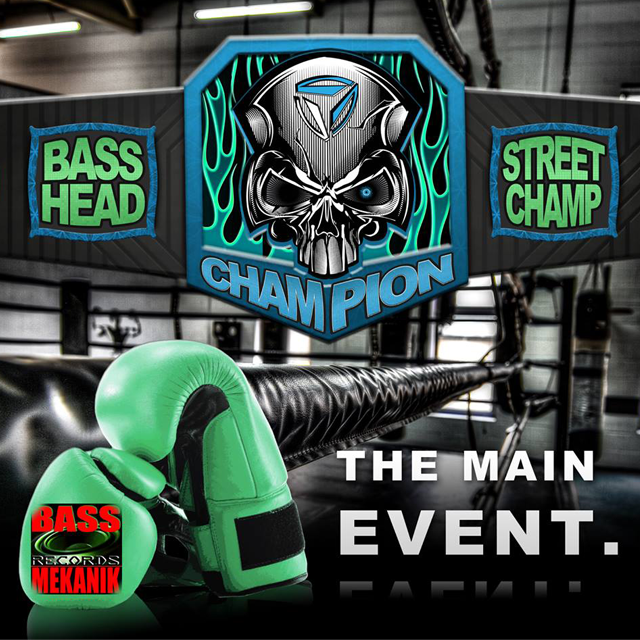 We have been working very hard with the guys from Bass Mekanik and are pleased to introduce The Main Event! 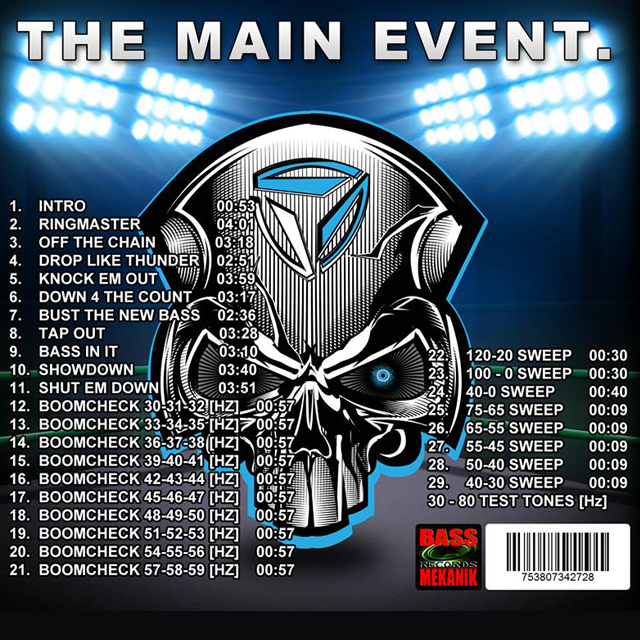 When developing this release we placed a special emphasis on the Boom Check tracks which are specifically designed for all bass racing and bass boxing classes. 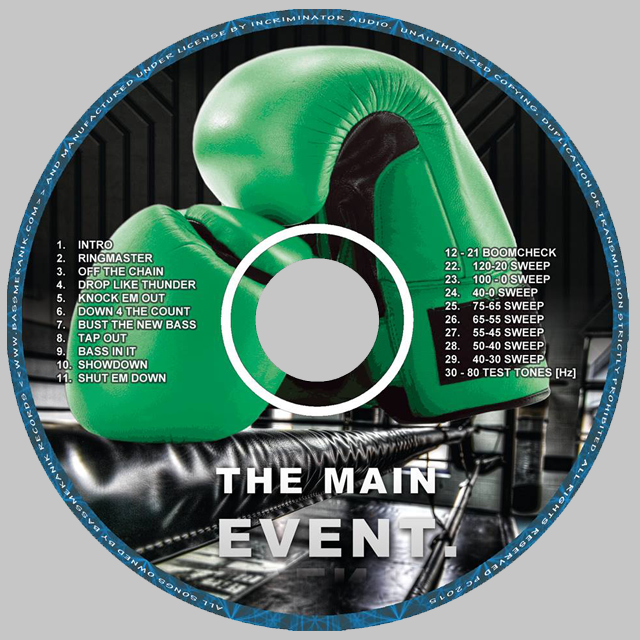 The Main Event contains a combination of both pure bass and lyric tracks that will please the most experienced audiophiles.